Grab Singapore’s head Lim Kell Jay has confirmed that the company had been gradually reducing its discounts for customers and incentives for drivers. According to an article on The Straits Times, while he did not specify when the rewards had stopped, Lim explained that the move had taken place before its recent buy out of Uber’s SEA business. Meanwhile, Grab Malaysia’s spokesperson said in a statement to Marketing that it is looking at various ways to offer benefits to its passengers and drivers in the long term. “With our GrabRewards programme, we offer great value that goes beyond providing safe, reliable and efficient transport,” the spokesperson added. Grab Malaysia also has a GrabAllStars Rewards Programme for its driver-partners. The revelation was made following Grab’s recent expansion of its vehicle service suite, which coincides with the launch of three new services GrabAssist, GrabCar and GrabFamily. Despite Grab’s acquisition of Uber, the ride-sharing market is a competitive one with local carpooling firm Ryde revealing plans to launch a new private-hire car service as part of its expansion strategy in March. In April, India-based Jungnoo also revealed plans to enter Singapore. Meanwhile, earlier this week Filo Technologies said it was launching private-car hire services in two weeks. Meanwhile, the biggest rumour in the market came in late last month when local taxi operator ComfortDelGro was tipped to be in talks with GO-JEK for a tie-up to enter the Singapore market. Most recently, ComfortDelGro Taxi CEO Ang Wei Neng, said that the company has seen more drivers switching from private hire cars as they had found “driving taxis relatively more stable”. This came on the back of announcements that the taxi company had put in an order for 200 new taxi vehicles. 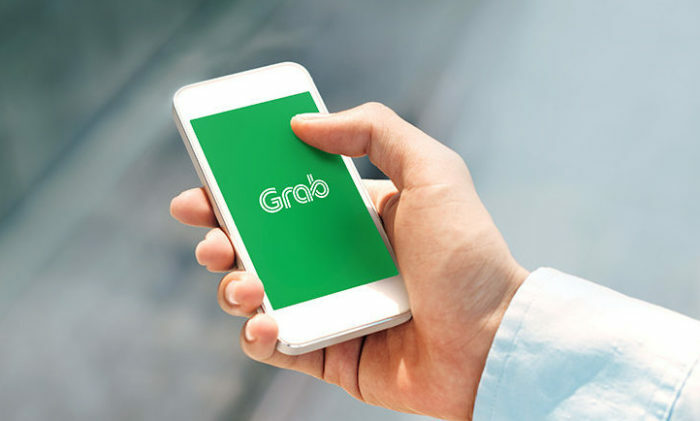 While customers, no doubt, have gotten accustomed to competitive pricing and promotions in this space, this begs the question, has Grab established a strong enough brand strategy to go without incentives? According to Nick Foley, president of Southeast Asia Pacific and Japan at Landor the brand is able to afford such a move, not because of brand equity, but rather because it is the only player in this town. It is easy to take prices down, but restoring value in a discount driven market requires the brand to the heavy lifting. As Grab is the market leader in Singapore, Foley said “the brand should be applauded for taking a stand on a price war.” Given that the brand has also done a fair job of making its brand visible, it now needs to ensure that its brand stands for more than cheap rides, Foley said. “If it doesn’t, it will be difficult for the company to be commercially viable in the long term. Ultimately no one will win from another price shoot out on the streets of Singapore. The quality of ride sharing will only suffer, drivers will be put under a level of pressure that may lead to unsafe practices and the standard of vehicles will decline,” he said. When asked about the GrabRewards loyalty programme, Foley calls it “simply another transactional move” aimed at presenting Grab in a competitve and nimble light. “The company is caught in a transactional spiral that fails to address how Grab can respond to higher order needs amongst its customers. There’s nothing wrong with its app, but such mobile points of connection are now table-stakes for this category,” he said. Meanwhile, Yvonne Low, former marketer at McDonald’s and senior consultant at QED Consulting said the biggest and most powerful brands were not built on price discounts. Rather, they were built on fulfilling both functional and emotional needs of a consumer. “Grab needs to deploy the relevant consumer levers that keeps the Grab brand top-of-mind and ensures it continues to stays focused on what it sets out to do – providing a hassle free, convenient, affordable and enjoyable ride experience to the users of its app service,” she said. She lauded the brand saying that despite it being a relatively young brand in the market, it has definitely achieved strong brand awareness and usage with Singaporeans in the past years. However, she said the brand has only established “moderate brand equity with Singaporeans” and therefore will still need to provide some incentives to maintain its market share. “As a challenger brand it went about grabbing market share through the deployment of heavy rider promo discounts and driver incentives at the same time tried to build brand equity in other ways through non-price digital and integrated marketing efforts,” she said. Now, to grow it’s business and improve brand equity it will need to quickly implement a strong strategic growth plan and other brand levers beyond incentives. Created in-house by XCO’s marketing arm, the tongue-in-cheek #XCOinfluencer campaign celebrates its assets including billboards, d..
"I got overwhelmed by the volume and tenor of the discussion, and I reacted," said Corey duBrowa, after users reacted to Starbucks..